It’s up to 108 kilograms (239 pounds) lighter than its predecessor. Despite its age, the Opel/Vauxhall Corsa was ranked #10 in Europe’s best-selling cars top last year. An all-new model is right around the corner and it should help the supermini put up a good fight against other subcompact hatchbacks like the next-gen Renault Clio and Peugeot 208. 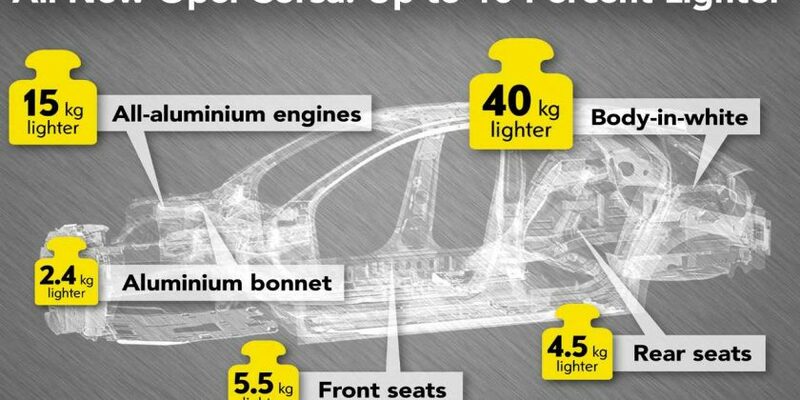 Today, Opel is releasing some technical details about its revamped five-door-only city car, emphasizing on the diet it’ll be going through for its sixth iteration.